The Wallflower stand at Screenmedia Expo, held at London’s Earls Court recently was an outstanding success. The stand showcased many of the unique products developed by Vueinti to take advantage of Wallflower’s flexibility and functionality. On the stand examples of 3D displays for eye catching promotions were shown alongside a Virtual Greeter for the stand. Other technology included an intelligent retail display able to detect when a product was lifted from a shelf which triggered lighting to emphasise the selection and play videos about the product. 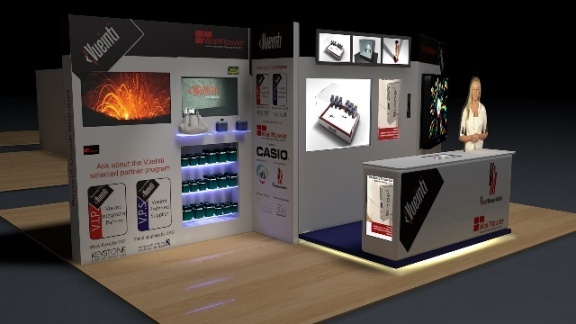 Along with multi touch interactivity and projection using Vueinti Blade units the stand was a major attraction at the show.